The petitioners lawyer Azhar Siddique filed the plea in the Lahore High Court, saying that Sharif during his four-day homecoming rally from Islamabad to Lahore last week had made verbal attacks on the five Supreme Court judges who disqualified him in the Panama Papers case. A Pakistani court on Tuesday issued notices to ousted prime minister Nawaz Sharif and 13 senior leaders of the ruling Pakistan Muslim League-Nawaz, including federal ministers, for "insulting" the Supreme Court judges. "Sharif and his cronies made a number of anti-judiciary speeches at different points on his way to Lahore from Islamabad and ridiculed the apex courts judges. They not only insulted judges but also targeted the institute of judiciary and maligned it beyond repair," the petition said. "Nawaz and others committed contempt of court. They should also be tried under treason charges for maligning the judiciary as well as army in his speeches," it added.Accepting the petition, the LHC issued notices to Sharif and federal ministers including Khawaja Asif, Saad Rafique, Talal Chaudhry and Daniyal Aziz asking them to respond to the notices by August 25, the next date of hearing. 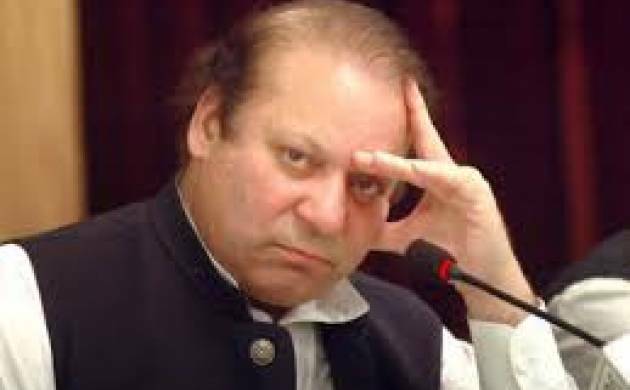 The five-member Supreme Court bench last month disqualified Sharif for dishonesty and ruled that corruption cases be filed against him and his children over the Panama Papers scandal, forcing the prime minister to quit.During his rally, Sharif repeatedly said the masses have rejected the apex courts decision. He said the decision to disqualify him was taken before the judgement was announced. He clearly hinted collusion of the army establishment and judiciary in his ouster. "At an appropriate time I will tell the people who was behind the conspiracy in my ouster," Sharif said today after a meeting with his party leaders at his Lahore residence.He said he would come out on the roads soon to ensure respect of ballot and civilian supremacy.